Many critics have pointed out that there is too much politics in the Filipino brand of politics. The Filipinos love politics so much that every political gathering, especially if done during elections, becomes a festive occasion, a carnival of sort. Movie and TV personalities are often invited to perform during political campaigns as a surefire crowd-gathering technique. Studies have shown that popularity among the masses is a very influential factor, if not the most determining force in getting elected to an office. The use of guns, goods, and gold has become a common aphorism, especially among the rich and powerful politicians. The issues and problems that confront contemporary Philippines politics include the following. Defects in the political system, such as Constitutional provisions which create a very strong presidency, which make it difficult to remove him/her from office in spite of her/his unpopular and questionable political decisions; strong presidency which controls politics and economic power (executive, legislative, judicial) of government. Bureaucracy, nepotism, massive graft and corruption in the government. Graft and corruption practices before, during, and after elections. For instance, vote buying and “dagdag-bawas” practices in the counting of votes. Excessive and lavish spending during elections. Black propaganda, mud-slinging and other dirty tactics to discredit political opponents. A politics focused on personalities and not on genuine platforms of government. Lack of strong enabling laws to curb political dynasty, nepotism, political opportunism, cronyism and the like. Lack of political will on the part of government to institute genuine land reform to provide more social services, to allocate more budget to education, to industrialize agriculture, to reform the judiciary, to combat graft and corruption, to support local entrepreneurs, and may others. Government’s policy in adopting globalization, too much dependence on foreign capital, entering into unequal treaties on trade and commerce and the so-called “mutual defense” treaty. Import liberalization, free trade, lifting of tariffs, lifting of protectionist policies and the more recent adoption of liberalizing entrance of foreign entrepreneurs not only in the production of goods but also in the rendering of services. Entering into business ventures with foreign capitalist as well as the exploitation and exploration of our natural resources. Governmental policy on the export of manpower and raw materials rather than support to local entrepreneurs. Governmental reliance on foreign investors, MNC’s and TNC’s foreign debts and foreign aid. Government’s inability to provide more job opportunities and real living wages. 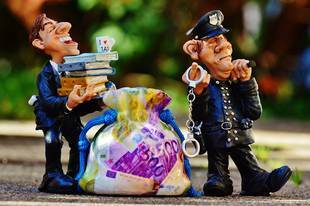 Inefficient tax collection and tax evasion by individual and corporate taxpayers. Political and economic instability brought about by the peso devaluation, deregulation policy, high cost of gasoline and crude oil products, military threats, coup d\ etat, and unstable peace and order in the country. Military abuses, police brutality and violation of human rights. Political bickering and political grandstanding among the nation’s leaders. Traditional bonds of political patronage. Governmental policy on trade relations with former colonizers rather than with Asian neighbour countries. The issue on Charter Change and shift to the Parliamentary System of government. The issue on the use of “people power” as a political force in social change. Secessionist or separatist movement in Southern Philippines by the Moro National Liberation Front. The insurgency movement in the countryside by the Communist New People’s Army. Legitimate collective mass movements and the killings of media people allegedly committed to silence the critics of the government. Muzzling through the calibrated Pre-emptive Response Order and the Public Order Act. Extensive role of mass media in voter decision. Alleged meddling of the church in the political affairs of the country. Culture of political concessions for mutual rewards and benefits.